as well as a listing of events and conferences where you can find me. To the right are some of the books, magazines, and newspapers where I've had poetry, fiction, essays and articles published. Free Ebook! Voices for Africa. Poetry in support of the peoples of Africa. Download it now. Click here. I have joined the Newsweek-Washington Post On Faith panel, where I'll be posting weekly entries on questions about Islam and my faith. My page can be viewed here. The discussion is... well... lively, to say the least. Come join the fray! 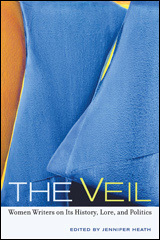 The Veil, women writers on its history, lore and politics, in which I have a personal essay is in pre-publication with the University of California Press. They've got a gorgeous cover, and I can't wait to read the other essays in the book, which is edited by Jennifer Heath-Collum whose work, The Scimitar and the Veil is a perennial favorite among Muslims. Check it out here. My story The Writing on the Window is in the anthology Tales of the Slug. The other stories that I've read so far have been fun. Not surprising, given the theme! 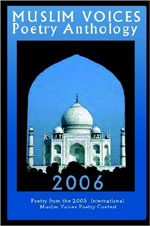 My Story Recompense can be found in A Mosque Among the Stars. My poem, Foreign Thoughts, which was published in the December 2006 edition of Star*Line (available for purchase at www.sfpoetry.com. ) was nominated for a Rhysling Award. My poem Africa! has been published in the free e-book, Voices for Africa (available for download here!). Whether you down load the book or not, please support the people of Africa who need our help. My article on the WISE conference and the need for Muslims of different bents to dialogue is up at The American Muslim magazine. 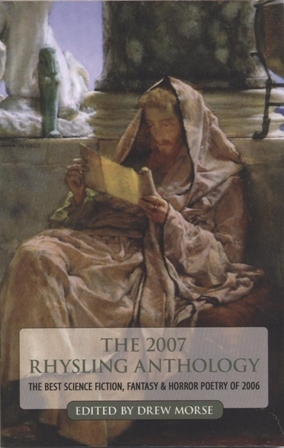 I was invited to participate in the 18th edition of the Other Voices Poetry Anthology. Several of my poems are up at the site. 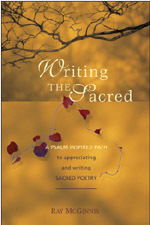 Also check out poems by some of my writer friends: Leila Montour, Daniel Abdal Hayy Moore, Wanda Campbell. And many, many other great poets. The selection on the site is really spectacular. UPDATE: one of my poems, Detente will be featured in their upcoming print anthology! 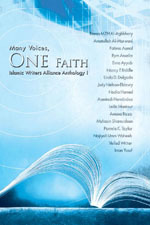 I'm very honored as there are some excellent writers who have contributed to the Other Voices online anthologies. 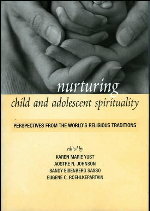 Nurturing Child and Adolescent Spirituality with my essay on teaching children spirituality in the Islamic tradition is now available. Leading the Mufti, my first person reflective on being a woman imam, leading a "major" scholar, and the progress on this issue over the past year is now up at NUVO. It was also on beliefnet and some smaller papers. I've also added it to my Essays page. And, in case you ever wondered what I look like.... click here! All Rights Reserved. Please do not repost/reprint items from this website without permission from the author.